Former aide to immediate past President Goodluck Jonathan, Doyin Okupe on Sunday resigned his membership from the Peoples Democratic Party. 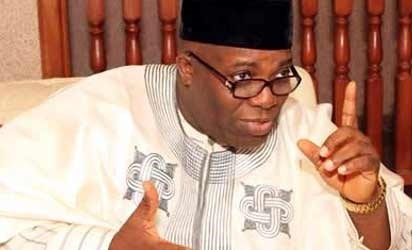 Okupe, a former national chairmanship aspirant of the party claims recent happenings in the party indicate there is no way it would bear fruits in the future. He said his resignation from the party was as a result of what he referred to as long introspection. Okupe said he was making his resignation public because he was not sure of who should be the recipient. PDP has been embroiled in leadership crisis at the national level following the rejection of its Court Appeal recognised National Chairman, Senator Ali Modu Sheriff by some of the governors and members of the party. The aggrieved governors and some members of the party’s caucuses have pitched their tent with the National Caretaker Committee headed by Senator Ahmed Makarfi. Okupe said that the party was also no longer exist as a unified party in his ward at Iperu-Remo, hence his decision to publicly announce his resignation from the party. He said, “It is with deep regret that I publicly announce my resignation from the People’s Democratic Party. “It has to be public because the PDP no longer exists in my ward as a single unified party it was when I joined it. “Its current direction is difficult to discern and I am convinced that even when the much expected judgement from the Supreme Court is given, the future of the party is not likely to be significantly affected whichever way the judgement goes.